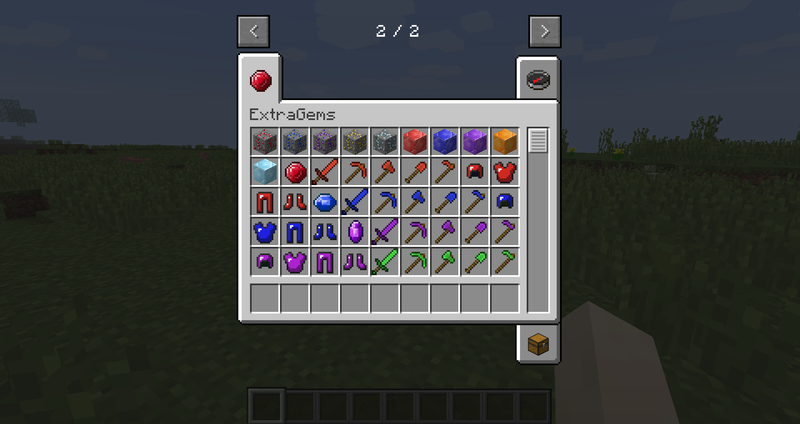 ExtraGems is a mod that adds a few new gems for tools, weapons, armor, blocks and more! 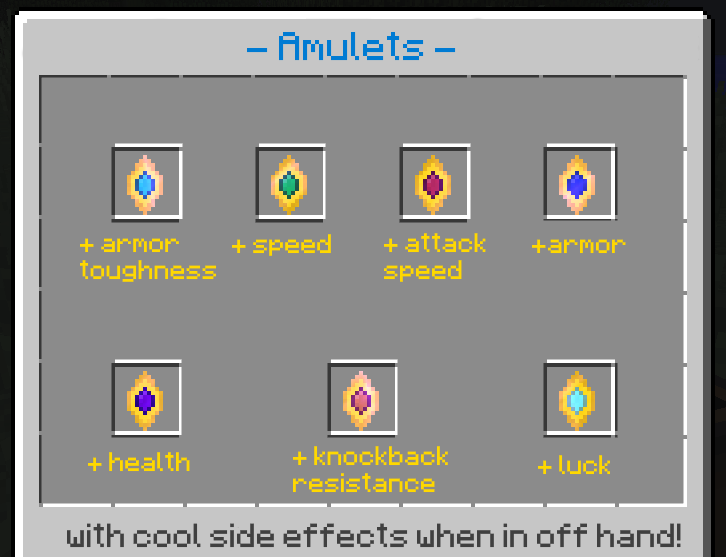 > amulets with cool side effects! 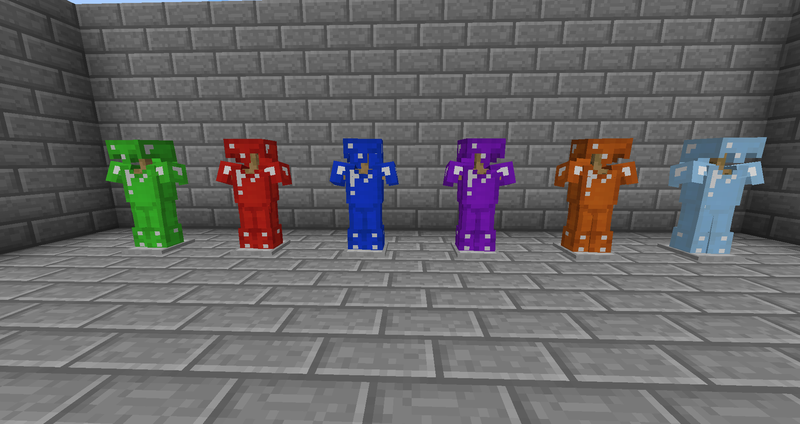 The gems have stats similar to diamond, but a durability similar to iron and the highest enchantability, with slightly changes between its variants. 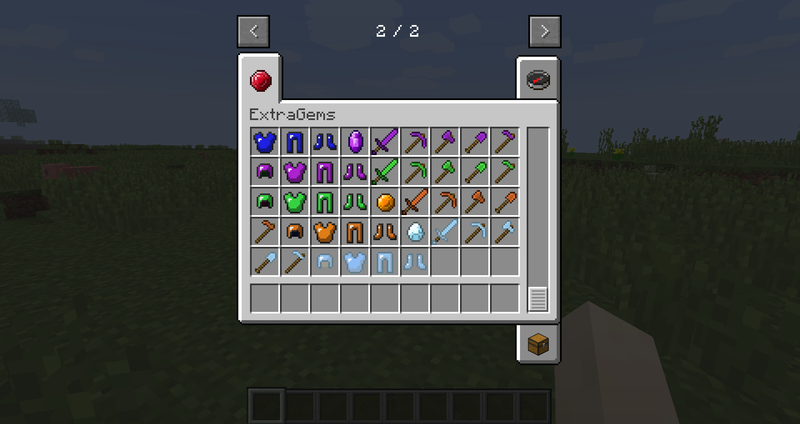 You want ExtraGems in your mod pack? Out of l curiosity what levels are each gem mostly found on? If you could tell em this that would be very helpful thanks! Would you mind adding a config option to disable the ability to charge amethysts on bookshelves by right-clicking? Currently it's only possible to change the level-cost but that's it. I am only really interested in the tool and armor sets and nothing else. is extragems compatible with orespawn3 to generate the ores? Can you disable extragems spawning of ore and only use orespawn3? this is important because orespawn3 is superior to everything. 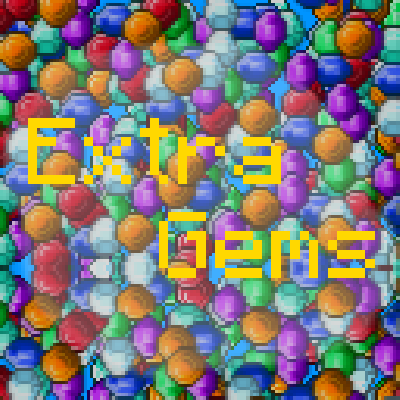 Yes, look at the config file of extra gems. I installed the newest version & Forge immediately warned me that all existing items / blocks from the mod were no longer present. 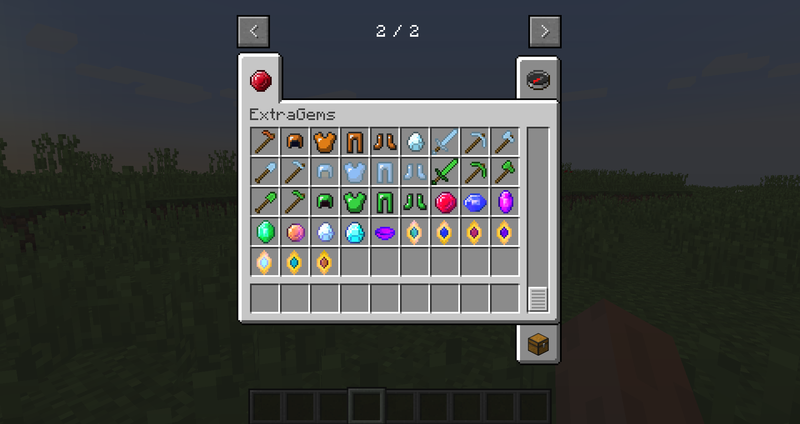 In looking at the mod itself, there is a folder in the same level as the assets folder labeled with your name which contains, 2 folders one labeled "extragems" and one labeled "minegems". Those same folders are present in the assets folders too but 'minegems' is empty. Both 'extragem' folders contain files but appear to be competing with one another (??). I loaded a test world, ultimately I could see everything but all my custom textures were missing. I reverted back to the old version since I didn't want to mess up my current game. 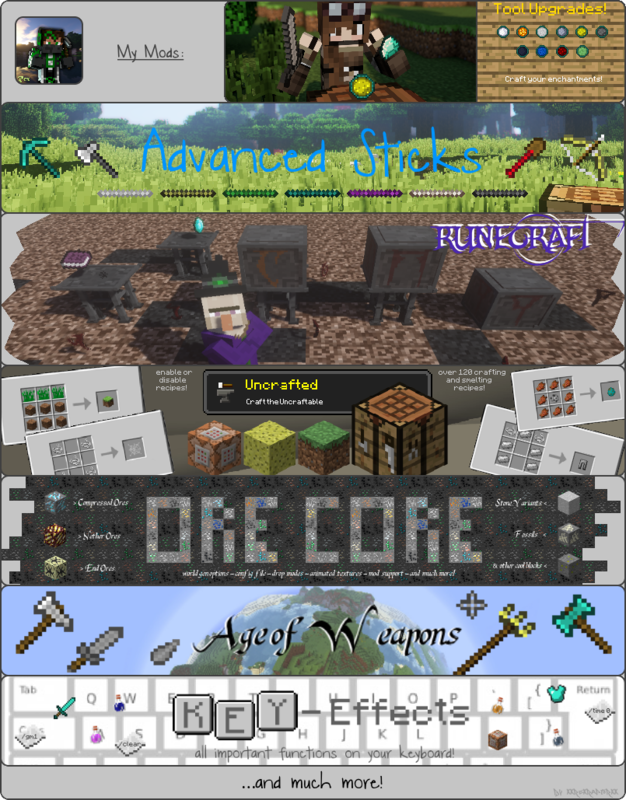 Yes, the newest version of the mod has massive code changes, don't use it on old worlds. Only on new worlds! After I posted, I realized what you were going for with the changes. Makes sense, it also gives me a good excuse to start a new world :) Keep up the great work!! I can translate this mod into Russian. Interested? Is it possible to get some Thermal series integration going (ie Dynamo support, Hammers, etc?). I've always felt those mods were missing gems, and this adds a reasonable amount of gems to the game.